Many people have dreamt about their wedding day ever since they can remember. The day of your wedding should be magical and memorable as you celebrate your love! However, wedding planning can put a damper on the big day. Picking out a venue can be the trickiest part! Luckily for you, we’ve chosen some of our favorite unique wedding venues in Northern Virginia. They’re all within an hour of The Inn at Vaucluse Spring, so you and your guests will know exactly where to stay! If you’re looking for rustic and unique wedding venues in Northern Virginia, look no further than The Barns at Hamilton Station Vineyards. The 106-year-old barn sits on a gorgeous winery with breathtaking views of the expansive green and distant mountains. Get married inside their large wooden barn with exposed beams and string lights to make your special day magical, or outdoors on the lawn. For your reception, you have the choice of indoors or outdoors as well. You’ll love the one-of-a-kind backdrop to your wedding this venue will create! The Bristow Manor has incredible accommodations for your wedding. They have availability for smaller crowds in their ballroom or larger weddings in their reception hall. There is also the option to hold your ceremony outdoors! They offer different wedding packages per person to make sure you stay within your budget. Catering and alcohol can be provided by the venue, giving you one less step to worry about! Here, you’ll have awe-inspiring venue views of the property. Enchant your senses with the garden patio, lagoon pond, and expansive fields. Did you know that The Inn at Vaucluse Spring is more than just a great place for lodging? We also offer unique wedding venues in Northern Virginia! When you book your wedding with our inn, you get exclusive access to the entire property, lodging included. Imagine your guests being able to stay right on site so that they have nothing else to worry about than celebrating the night away! Let The Inn at Vaucluse Spring make your wedding day unforgettable. Say “I do” amongst rustling leaves and the melodious sound of running water. From the venue to the guest accommodations, we will make sure you have the wedding of your dreams! 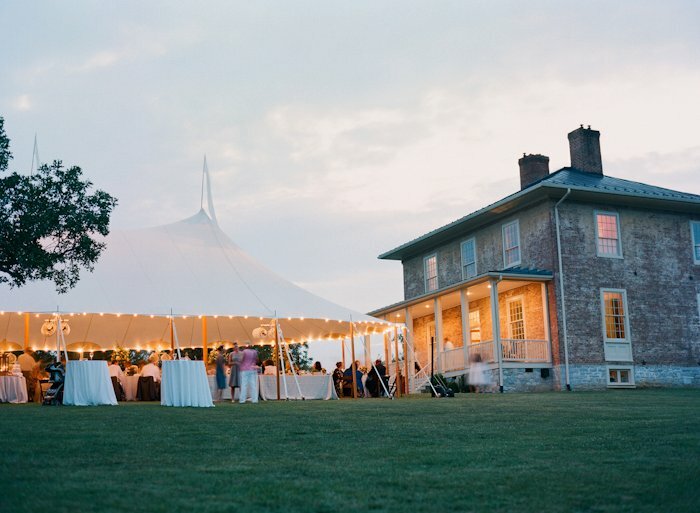 The Inn at Vaucluse Spring can check all your boxes for unique wedding venues in Northern Virginia, so come see for yourself! Visit our bed and breakfast for a relaxing getaway before your big day. Rest in our comfortable accommodations or see the cottages perfect for honeymooning. You’ll see that our gorgeous venue can meet any of your needs. We look forward to having you!